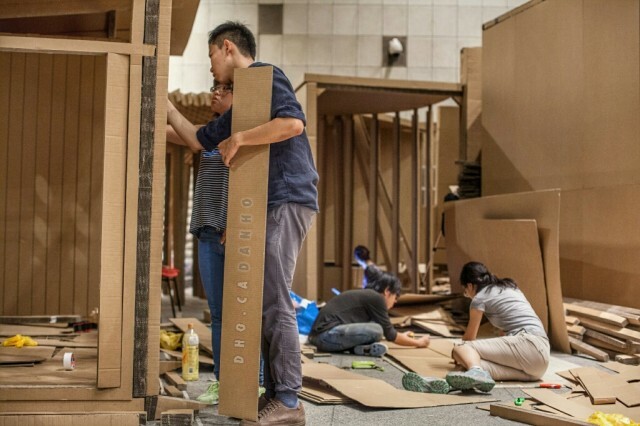 Buildings out of cardboard boxes. Remember when you were a kid, and that giant cardboard box in your living room made the perfect castle? Yup, me too. And these kids outside the National Library of Singapore are having all the fun. 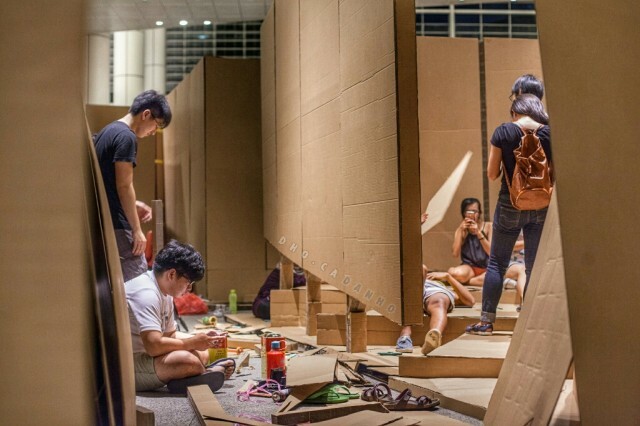 First year architecture from the National University of Singapore had a chance to build full scale houses out of cardboard this weekend. One student said she enjoyed building these life sized models to the tiny ones they usually build in their studio. These students’ works were inspired by literary pieces. The student cited a scene in New York, where the buildings are like grids, as inspiration for her design where you could peek inside through narrow slits. The exhibit opens today April 14, at the National Library of Singapore and only runs three days. 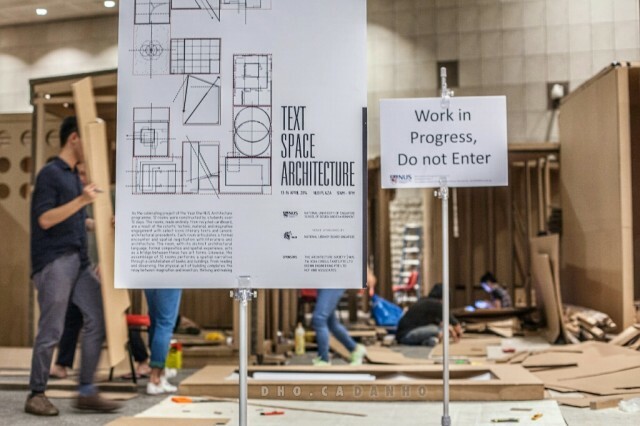 Come visit and learn about what inspired the nation’s young architects! p.s. No this is not an advertorial, but I almost always enjoy supporting student projects! 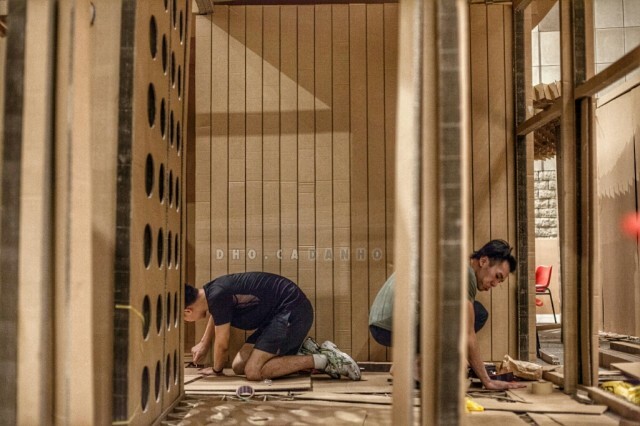 - Buildings out of cardboard boxes. 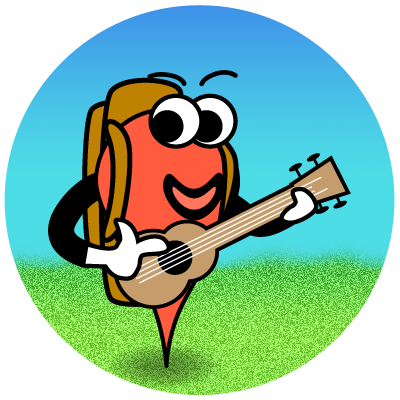 What was your favourite school project?